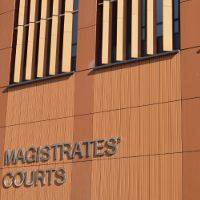 A disqualified West Midlands security boss who had his Security Industry Authority (SIA) licence revoked last year has been prosecuted again after re-starting his operation the very next day despite the revocation. On 20 April 2018 Michael Ryan lost his door supervisor’s licence after his security business IG Security Services Ltd was prosecuted by the Security Industry Authority (SIA). The following day it was business as usual for him as he started procuring security work and contracts despite not having a licence.